There’s nothing like a good old fashioned road trip and we are about to set out on one though Africa starting in Uganda and finishing in Victoria Falls, Zambia after 5,880km and approximately 45 days. In this post we shall discuss the all-important issue of what car we will be using. Obviously we will require a pretty rugged car which can handle some pretty tough terrains as we are planning on doing some off-roading, and from what we have heard the roads are no picnic for the most part. With that in mind I have got a feeling that the Mazda 6 I own wouldn’t be the best of choices. We are on a budget, so we wants something as cheap as possible, but it needs to be reliable and have enough space in the back for 2 tents and various other supplies. Rob, my partner in crime drives a Jeep Grand Cherokee which I think would be pretty ideal but Rob isn’t too keen on the idea unfortunately, I guess I can see why. 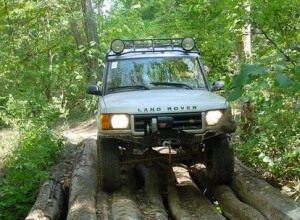 So our plan is to get a second hand 4×4 that has a good reputation for being a solid workhorse that can handle anything that is thrown its way, and then we will donate the car to a charity in Zambia at the end of our trip… if it still works. We have already had a few viewings and it is looking promising, so let me break it down for you. The first car we looked at was a Subaru Forester and it was priced at £1,995 but we managed to get the dealer down to £1,750 which would mean £875 each, which isn’t too bad but we’d read a few different reviews on the Forester and we weren’t exactly sold on it, though many of the reviews had commented on a how it was ‘rugged and reliable’ so we weren’t ready to count it out just yet. The third model we looked at was the Jeep Wrangler which was a little pricey but reasonable for what it was, and me and Rob fell in love with it. It is very basic but that’s kind of what we wanted for such a road trip and it really does look the part. Having said that there were a few things that did put us of such as the prospect of no air conditioning under the hot African sun. The second hand Jeep Wrangler was £2,195 and in the end we couldn’t justify spending that when we could get a decent Discovery for less than half the price, which is what we ended up doing in the end. So there you have it, we have our wheels of choice which will need to get us through Uganda, Rwanda, Tanzania, Malawi, Zimbabwe and Zambia…. Wish us luck! By admin in Cars on July 28, 2014 .